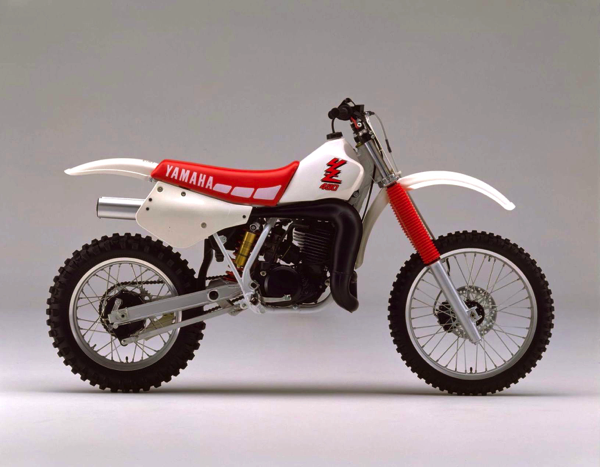 For this edition of GP’s Classic Steel, we are going to take a look back at the last of Yamaha’s big-bore two-stroke YZs, the 1990 YZ490. Today, the Open class is once again King. 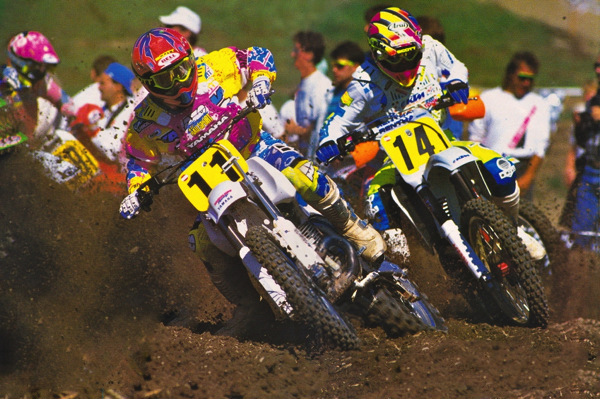 Long the most-storied division in motocross, the Open class fell on hard times in the early nineties, only to rise again like a phoenix on the back of a four-stroke revolution. Once the very definition of manly machismo, the Open bike fell prey to budget cuts, manufacturer neglect, and the fickle tastes of the buying public. Today, however, the Open bike is back. The new generation of four-strokes, with their fuel injection, fancy electronics, and easy-to-manage powerbands have made “Big” beautiful again. 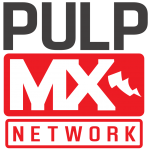 In 1981, a 450cc motocross bike was a terrifying machine with a light-switch power curve and an appetite for destruction. Today, a 450 machine is a gentle giant, with a power curve as mild, or wild, as you desire. Turn it on a little, and it goes a little. Turn it on a lot, and the scenery starts to blur big time, but at no point does it try to spear you into the track like a 200-pound lawn dart. Today’s Open bikes are still big and brawny, but no longer brutish. 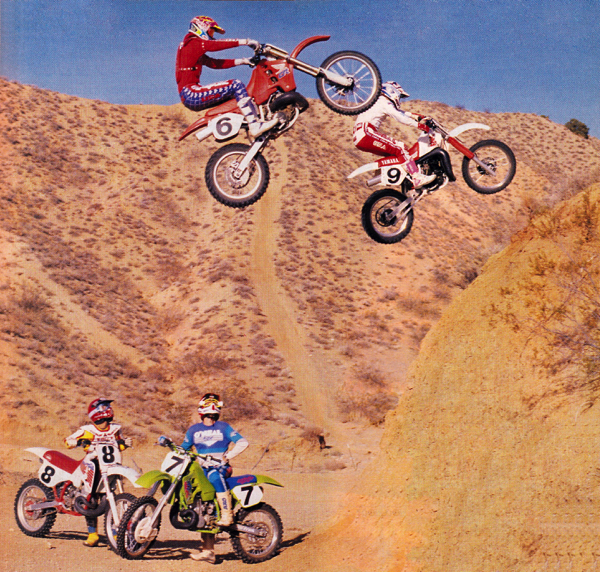 The decline of the Open class started in the early eighties, with the rise of better and better 250s and 125s. As the small bikes got better, interest in the big bores began to wane. To bolster sales, the manufactures turned to that old American trick of boring out the cylinders and before you knew it, the manageable YZ360 had become the arm-stretching and eyeball-watering YZ465. In America, bigger is always better, and the manufacturers were happy to oblige. Unfortunately for big bike enthusiasts, however, this “bigger is better” strategy turned out to backfire. As the bikes became more powerful (and more unruly), the mass exodus away from the Open class got even worse. As sales tanked, so did the manufacturer’s interest in development and Open class innovation went from the fast track to the slow lane. 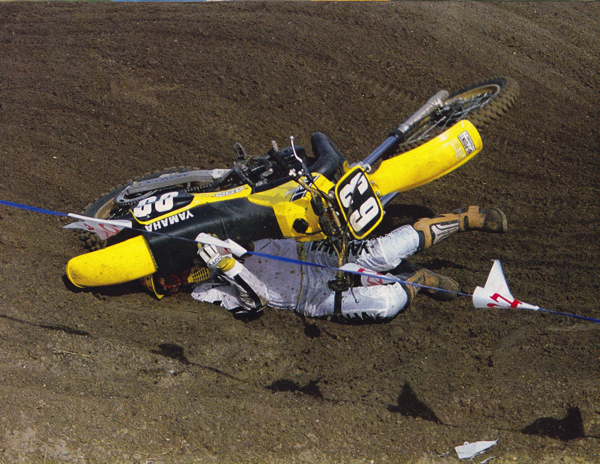 The first casualty of this Open class retreat was Suzuki, who pulled the plug on their RM500 in 1984 (it continued in 1985 in some other markets, but not in the US). This left Yamaha, Honda and Kawasaki as the only Japanese manufacturers still producing a 500-class machine. 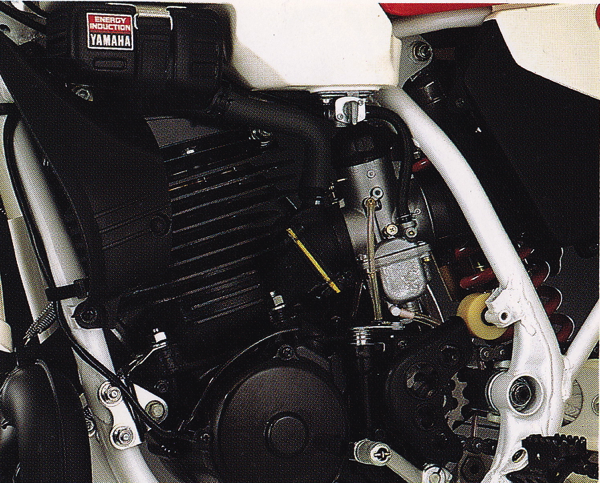 In 1985, both Honda and Kawasaki added liquid cooling to their big bores, but Yamaha chose to keep it simple and stick with air for their cooling needs. In 1986, Kawasaki added a Power Valve to the mighty KX500, but Yamaha once again choose to stand pat and eschew the fancy-fangled do-dads. 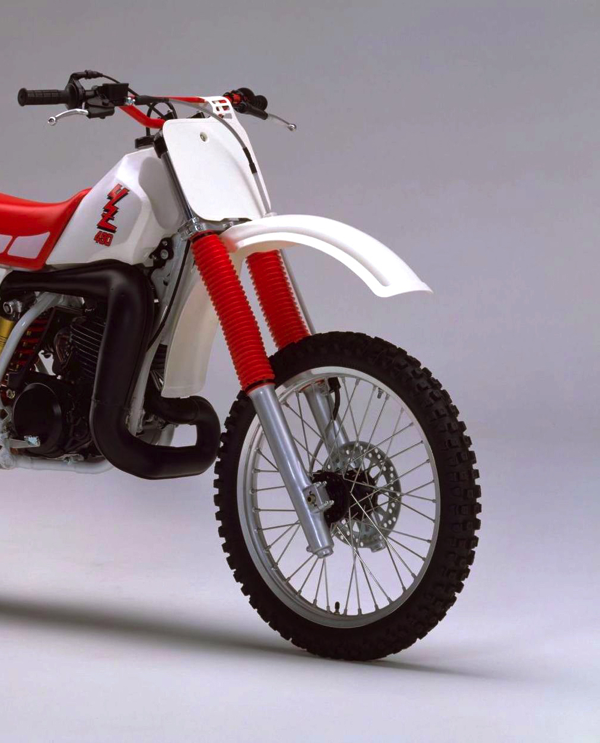 Claiming that Open class riders neither needed nor desired these features, they continued to offer an engine package that favored simplicity over innovation. 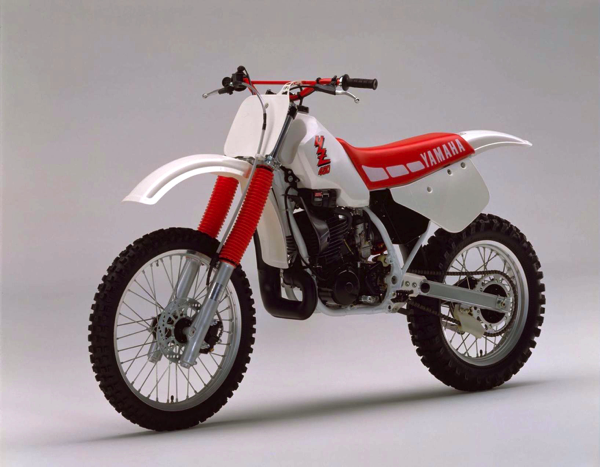 While Yamaha did not see fit to spec an all-new engine for 1986, they did dial up a major redesign for the rest of the machine. A new frame lowered the center of gravity by repositioning the Monocross linkage below the swingarm for the first time and all-new bodywork slimmed the midsection of the notoriously pudgy machine. 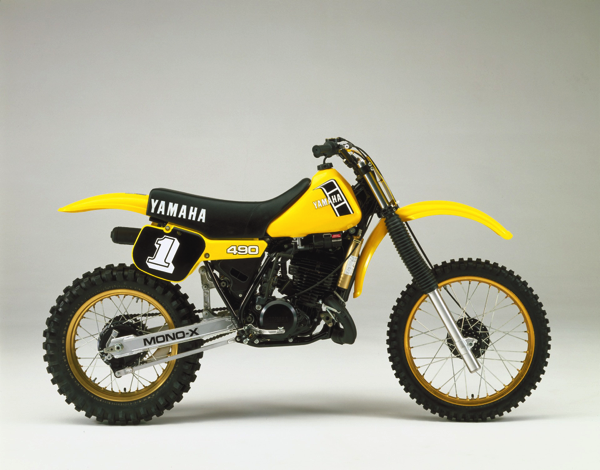 While the basic motor remained largely unchanged, Yamaha did see fit to finally install a fifth gear into the big 490 to make off-roaders happy. On the track, the new YZ490 offered improved handling and slimmer ergonomics, but not much of an upgrade in motor performance. The new fifth gear aided versatility, but the 487cc mill continued to vibrate and rattle like someone left a nut loose in the bottom end. Jetting on the 40mm Mikuni carb was hopelessly off and the bike blubbered down low and pinged on top. Unfortunately, swapping brass was not enough to alleviate this problem and getting it to run cleanly was virtually impossible without having the head modified. Overall power was decent, but not all that remarkable for a bike with a piston the size of a wash bucket. It was weak off the bottom (for a 500) and did not really get going until well into the midrange. The majority of its power was found on the top end, where most Open bikes feared to tread. 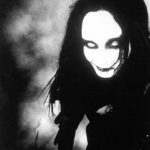 Once on the pipe, it had plenty of power for most mortals and it could holeshot under the right conditions. Although the new fifth gear allowed the bike to perform better away from the race track, the action of the cogbox continued to be the worst in the class. Shifting was notchy at all times, but this was less of an issue on a big bike like the 490 than it was on the smaller YZs. 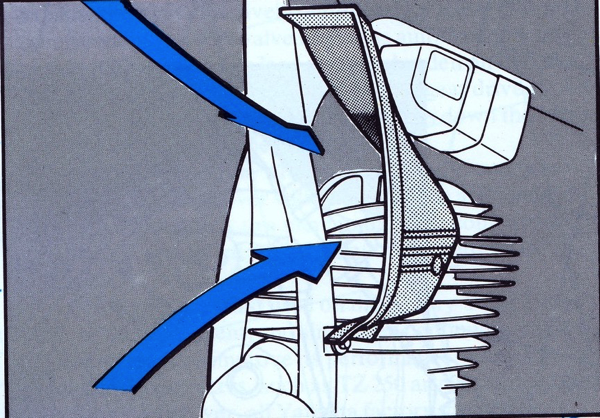 In most cases, you just put the bike in third and left it there, until the vibration forced you to back off or you ran out of track. 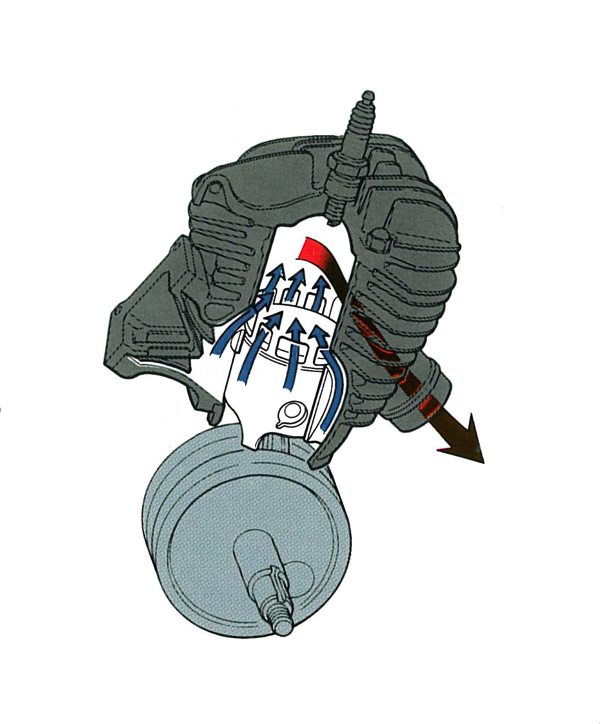 In 1987, Yamaha tried to address the YZ490’s jetting woes by massaging the head and re-porting the air-hammer’s massive cylinder. They also attempted to upgrade the YZ’s mediocre fork action by bolting on a set of Kayaba’s new 43mm “Variable Damping” TCV (Travel Control Valve) forks. Neither of these “upgrades” proved particularly effective and the big Y-Zed continued to ping incessantly and pummel rider’s wrists. 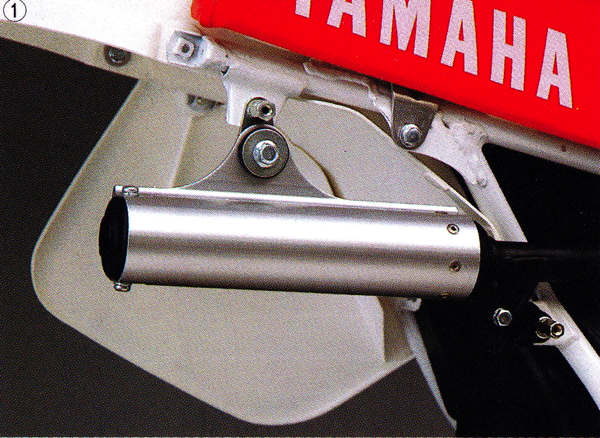 For 1988, Yamaha dialed up one last major update for the YZ490 by bolting on a set of Kayaba’s new 43mm cartridge forks. The addition of these works-style sliders finally brought the big Yammer’s suspension performance out of the dark ages and up to speed with its classmates. Aside from the new forks, the rest of the bike was basically a carryover from 1987. 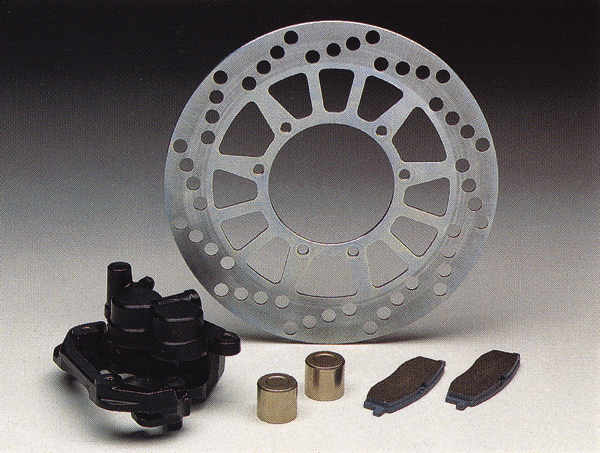 There was no fancy new disc brake for the rear, or sano liquid cooling to drool over. Just a simple bike with a really big piston. On the bright side, the YZ continued to offer the easiest starting in the class (no small advantage on bikes like this), very good high-speed stability (no headshake, but a busy shock) and stone axe simplicity. With no radiators to smash and no power valves to futz with, the 490 was a weekend warrior’s dream. It could be fixed with a hammer and a screw driver and once the head was dialed, it actually ran pretty well. It also cost less than the competition, but not really enough to justify its lack of features. 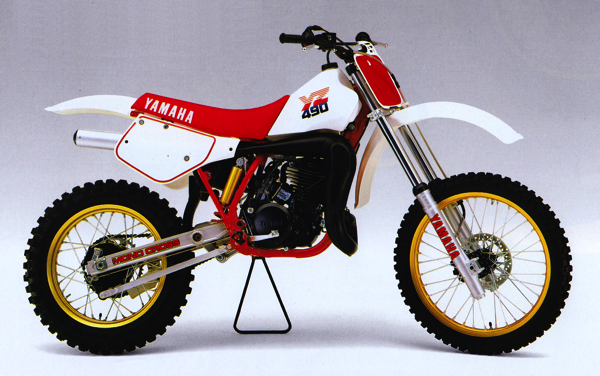 For 1989, the only thing YZ490 aficionados received was a whopping $500 price increase. This was due to a fall in the value of the Japanese Yen, but it still hurt on a bike that was essentially a warmed-over ’86. You did get Bold New Graphics and some minor frame tweaks, but overall it was the same do-it all machine it had been the year before. 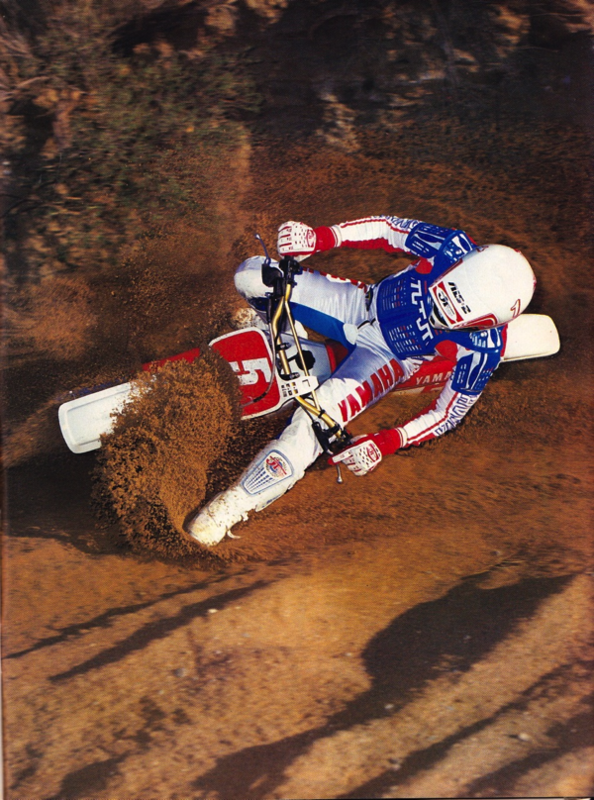 For 1990, the YZ490 walked into its final season with only a set of stripes on the seat and a set of red bars to differentiate it from its 1989 predecessor. The dreamed of liquid-cooled YZM replica über-500 never materialized and Yamaha loyalists were left to soldier on for one last season with the air-cooled and drum-braked YZ490. It still detonated on top, blubbered off the bottom and vibrated like something had to be wrong, but proved nearly indestructible as long as you ran a 50/50 mix of race gas to keep the pinging under control. 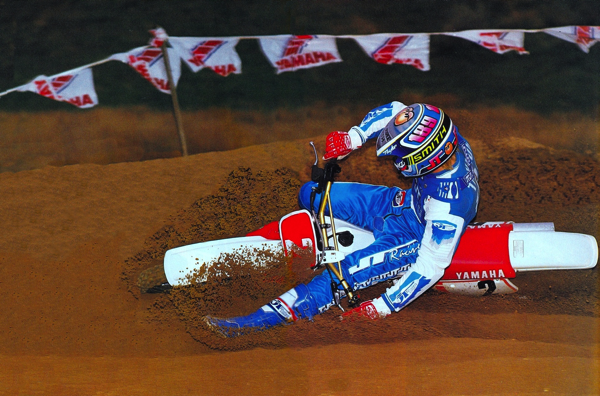 Compared to its 500 competition in 1990, the YZ490 was actually heavier than the liquid-cooled machines and offered less power overall. 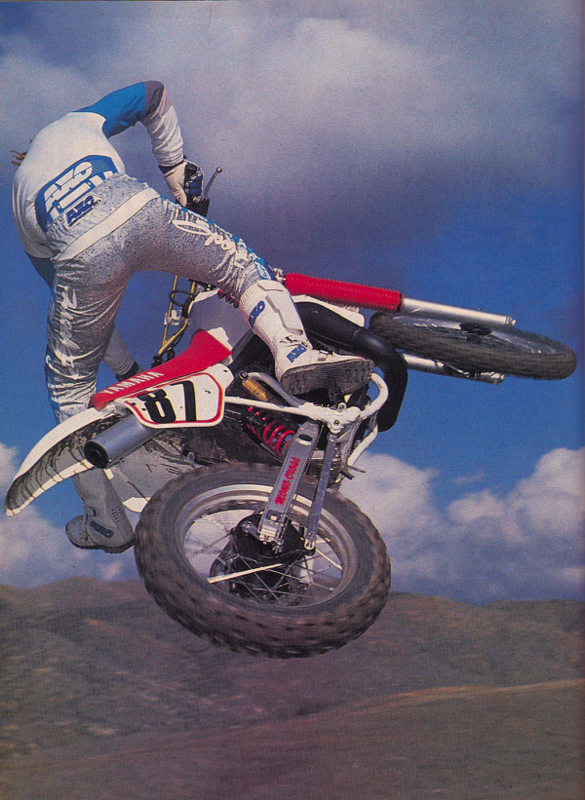 Its top-end-focused powerband seemed to skew it toward the expert end of the spectrum, but by 1990, no self-respecting pro was going to be caught dead on a YZ490. By this point, even Yamaha’s Factory team had abandoned the old air-hammer and moved on to racing Öhlins-kitted YZ360s instead. 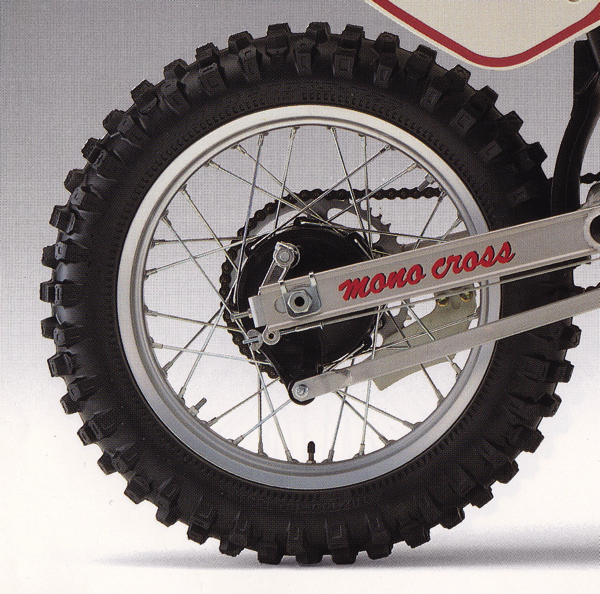 With head mods and some quality gas, it still made a decent play bike and a solid desert sled, but the excessive vibration, old-school handling and sub-par brakes made it a tough sell for motocross. In 1991, the old girl would enjoy one last day in the sun as the reborn WR500. 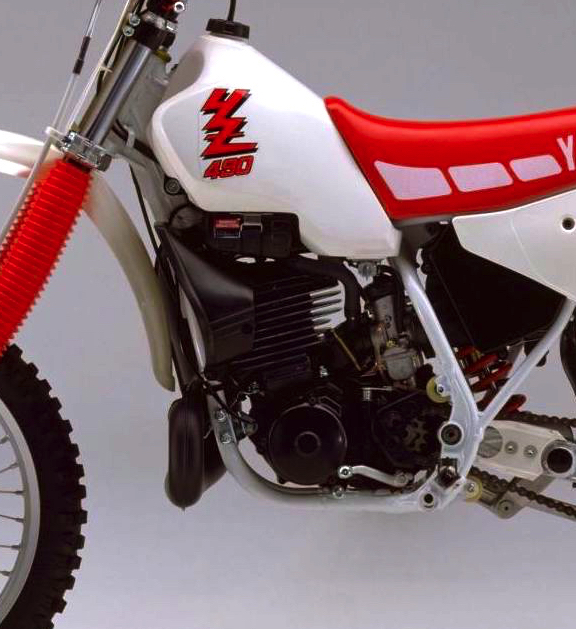 The WR was basically the old YZ490 motor, stuffed into a modern YZ250 rolling chassis. 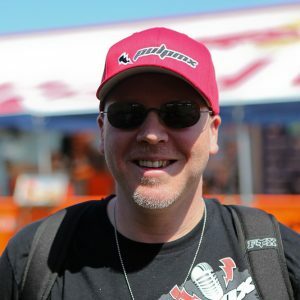 While capable enough to take Damon Bradshaw to a moto victory at Broome-Tioga in ’91, the WR would only last two years in Yamaha’s lineup before being retired for good at the end of 1992. 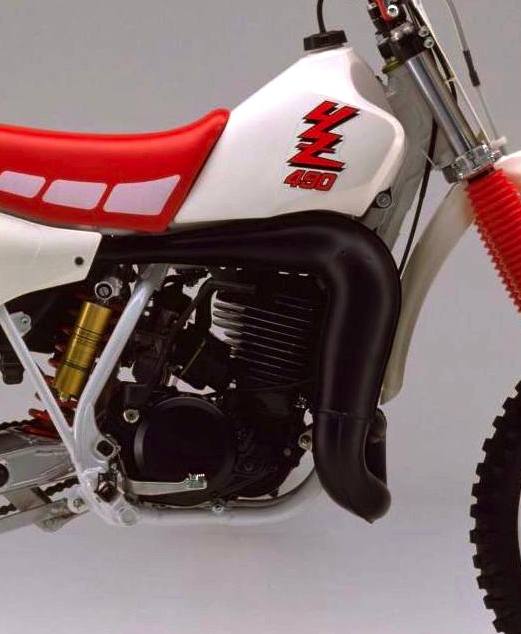 While the YZ490 went out with a whimper instead of a bang in 1990, its heritage as an icon of 1980s motocross is secure. 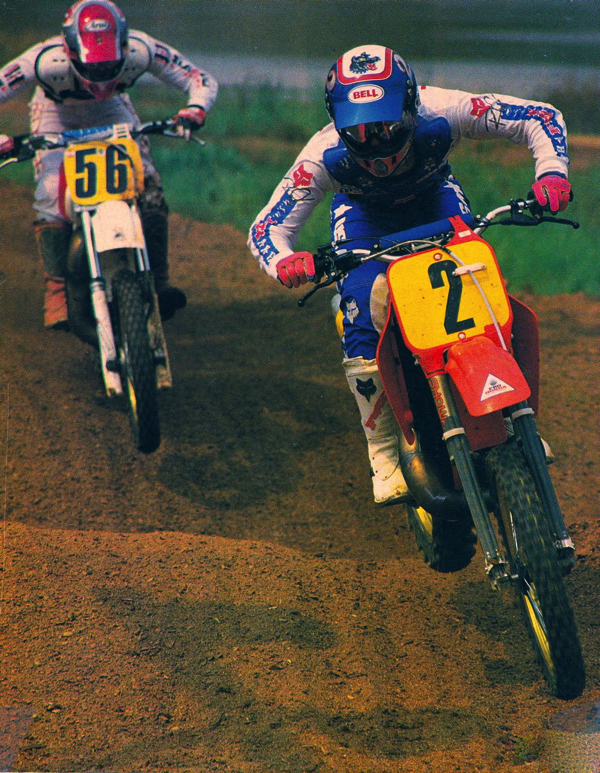 In 1985, it was good enough to take Broc Glover to the 500 National Motocross championship (against maybe the trickest 500 two-stroke of all time) and in 1987, it took Jeff Stanton to second in the 500 Nationals behind the virtually unbeatable Ricky Johnson on his Factory Honda CR500R. It was a flawed bike, but a surprisingly capable one. Yes, there were faster 500s available, and it did burble, pop and ping, but with the some simple mods and some careful setup, it became a formidable motocross weapon. 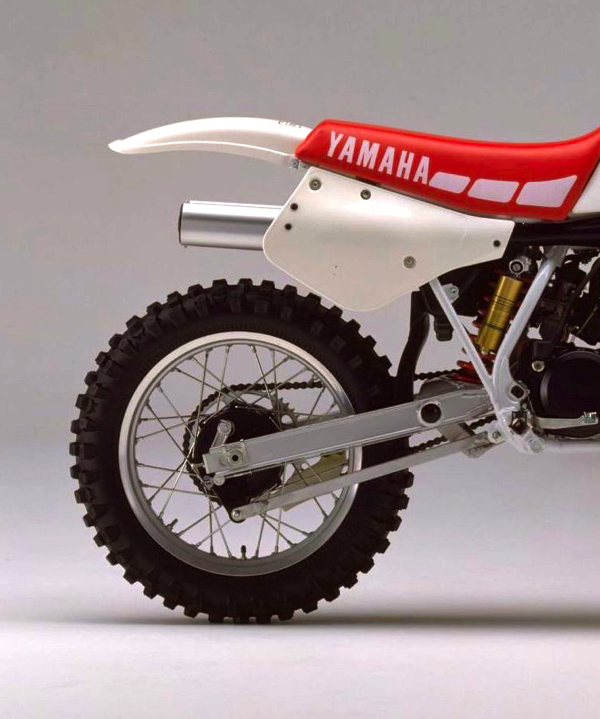 If the CR500R was a Ferrari, then the YZ490 was a Boss 302 Mustang. Crude and old-fashioned, yes, but still able to get the job done when the lights went green and it was go time.